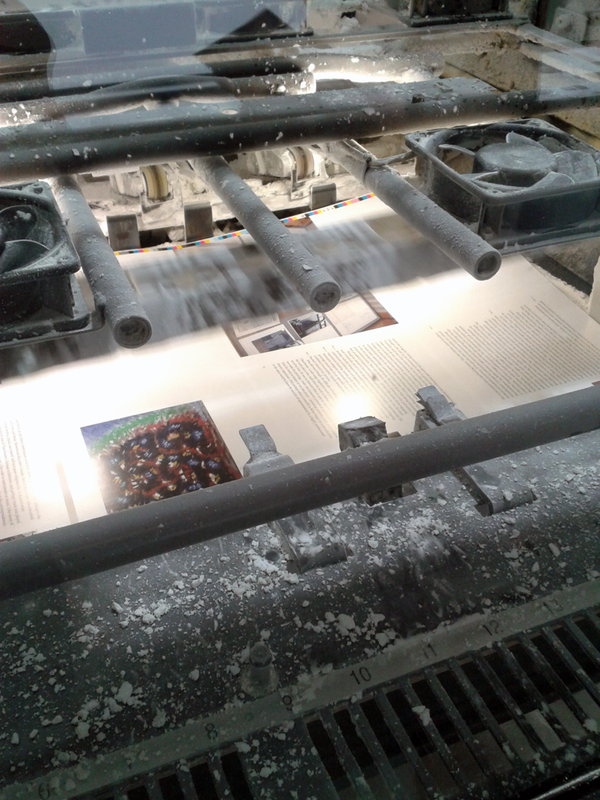 I went to Allander Print in Portobello for the press pass of Serge Charchoune, one of the books that I have been designing for Talbot Rice Gallery, Edinburgh and the Smart Art Museum, Chicago. 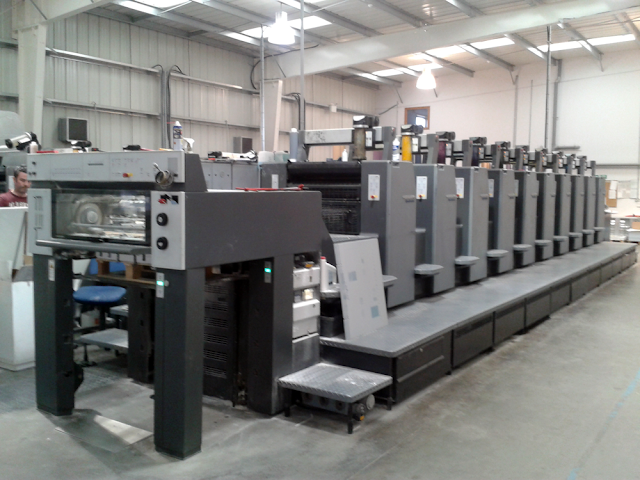 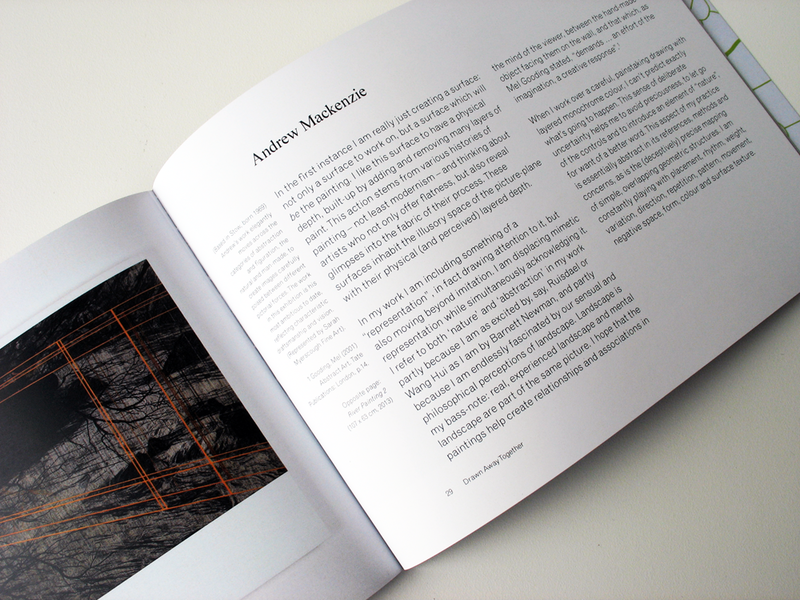 The book was printed on Allander's impressive Heidelberg Speedmaster SM74 which had been calibrated to exactly match the colours that I had seen on screen when designing the book. 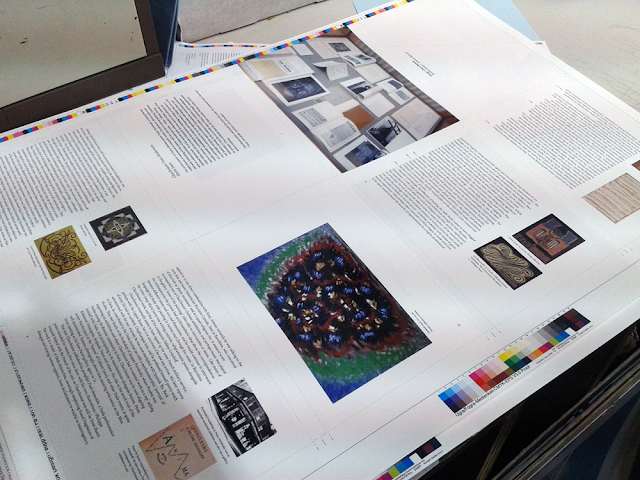 Aside from some subtle adjustments to the colour of the cover image - efficiently tweaked by Allander's print technicians - Merlin James (the curator of the exhibition and author of the book) and myself were very impressed by the accuracy of the colours in the printed sheets that we saw and were happy to run the text pages without any further changes. 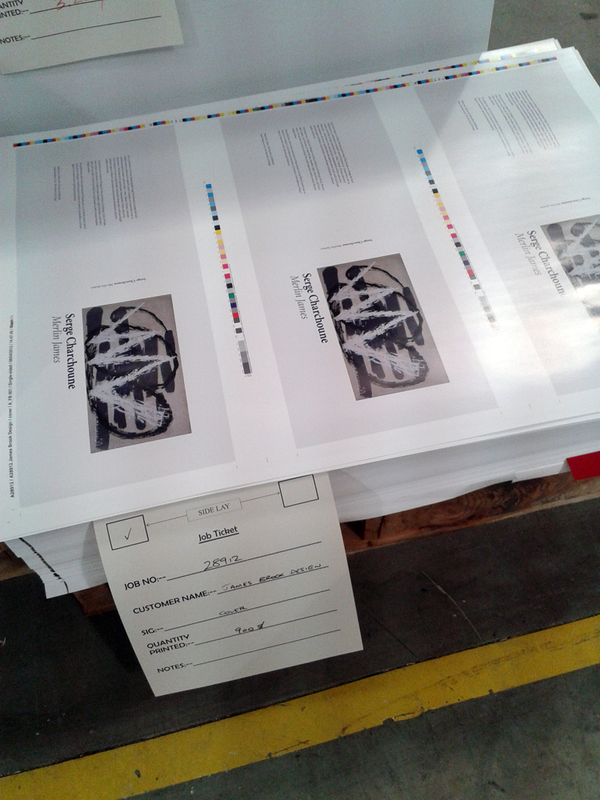 Before we left, it was very exciting to see the printed covers stacked up on a palette, ready to go to the binders. 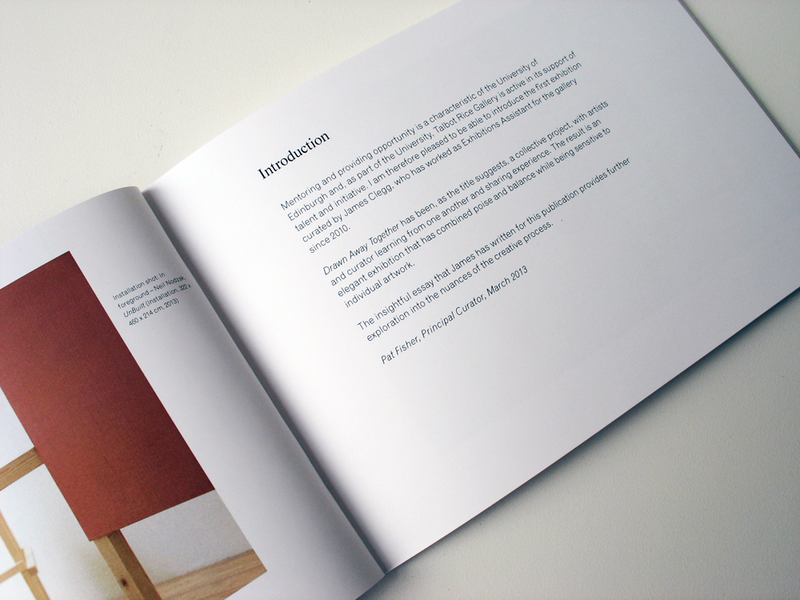 The books are due back on 26 April, in time for the opening in Chicago on 3 May. 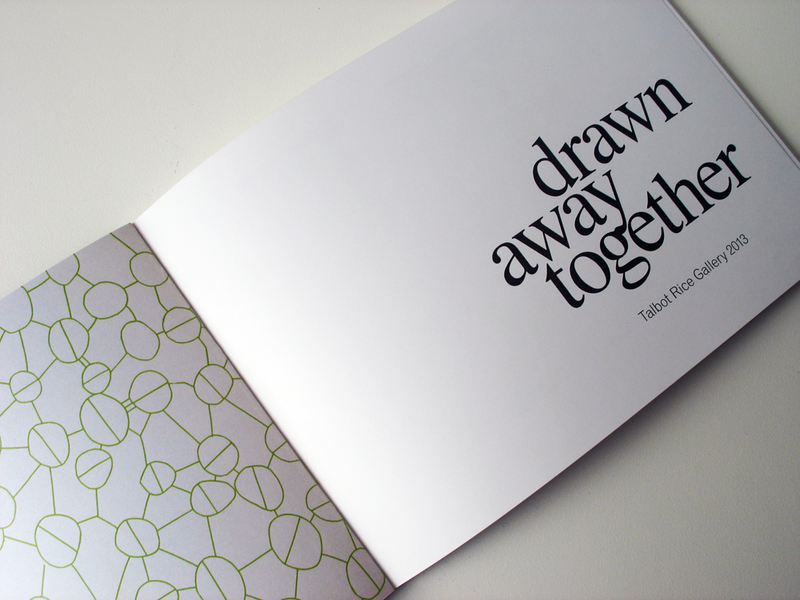 Looking forward to seeing the end result. 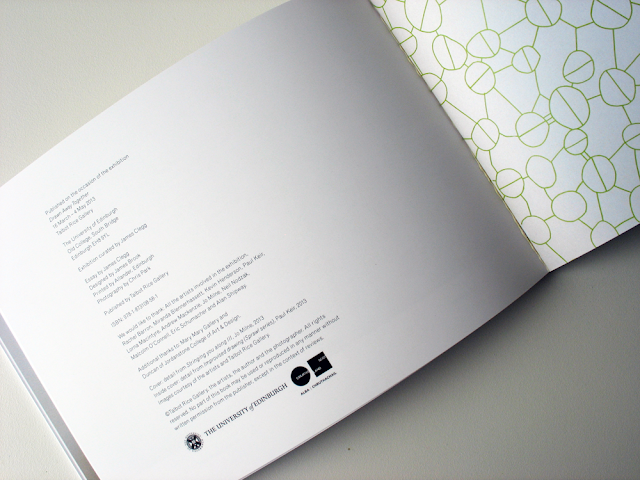 One of three publications that I have recently designed for Talbot Rice Gallery, Edinburgh. 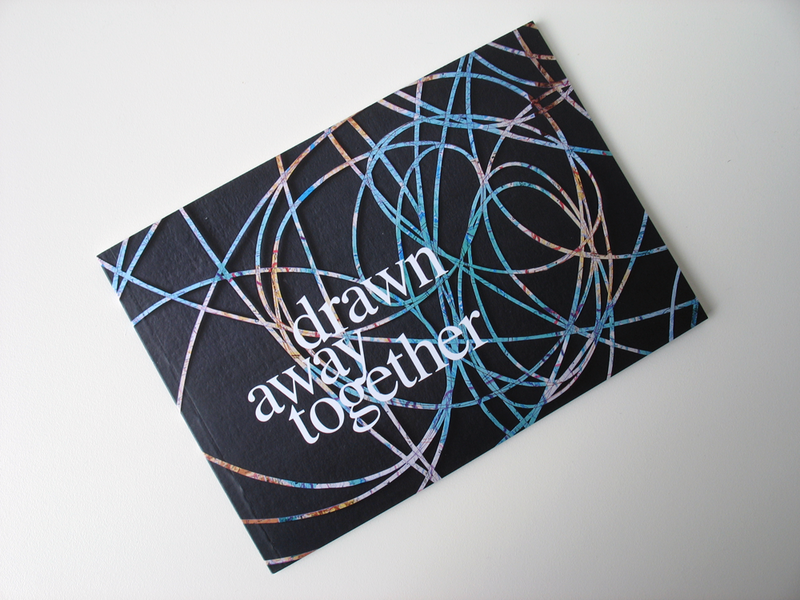 Drawn Away Together accompanies the exhibition and contains an essay by curator James Clegg, statements and biographies of the individual artists, and installation photographs by Chris Park. 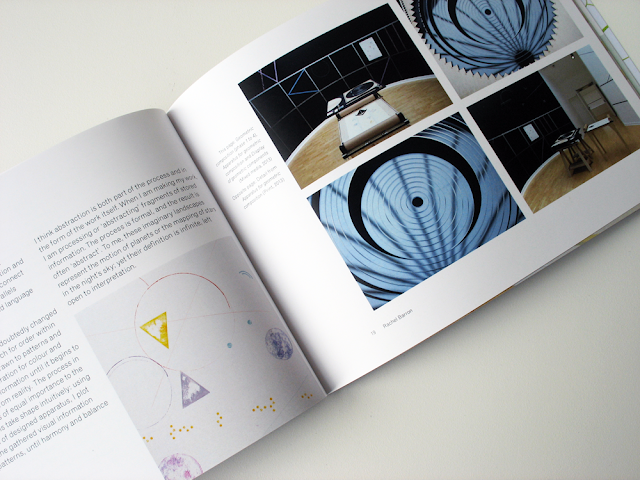 The cover shows a detail of a work by Jo Milne and the inside cover features a detail of a wall painting by Paul Keir. The exhibition runs from 16 March - 4 May 2013. 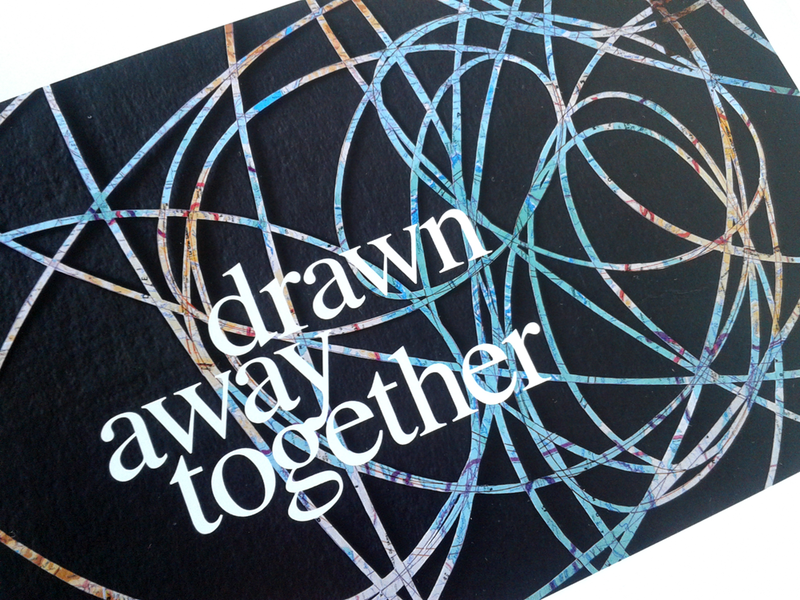 Proof of the cover of the catalogue for Drawn Away Together, one of three publications that I have been designing for the Talbot Rice Gallery and printed by Allander, Edinburgh. 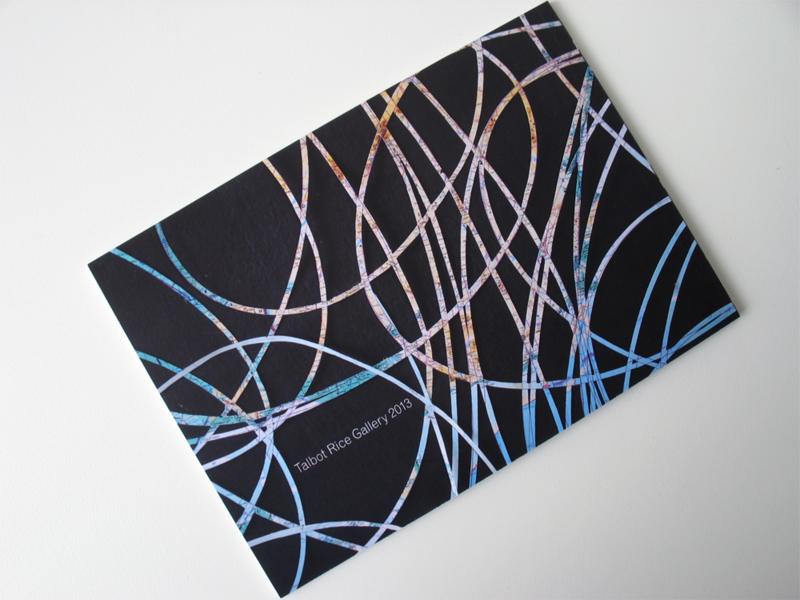 The cover shows a detail of Stringing you along III, by Jo Milne. 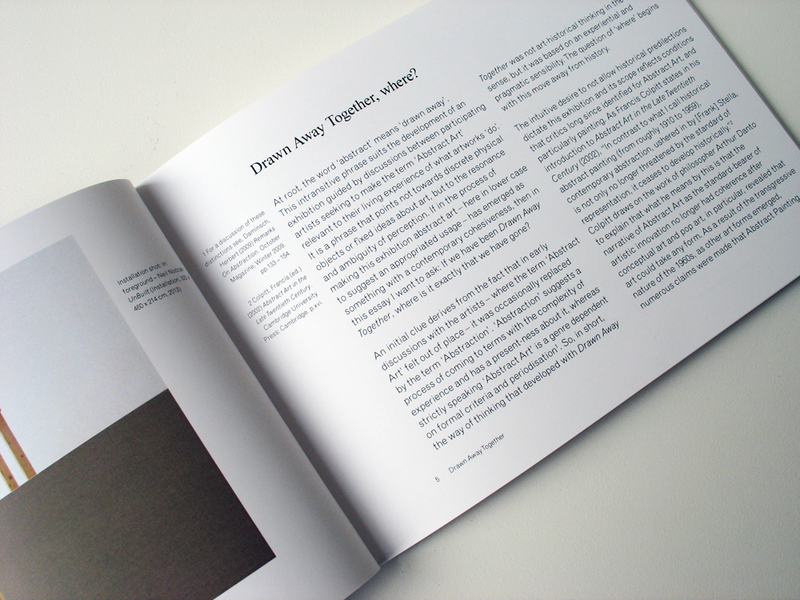 The publication will be launched on 17 April, with a discussion by Drawn Away Together artists and curator James Clegg. 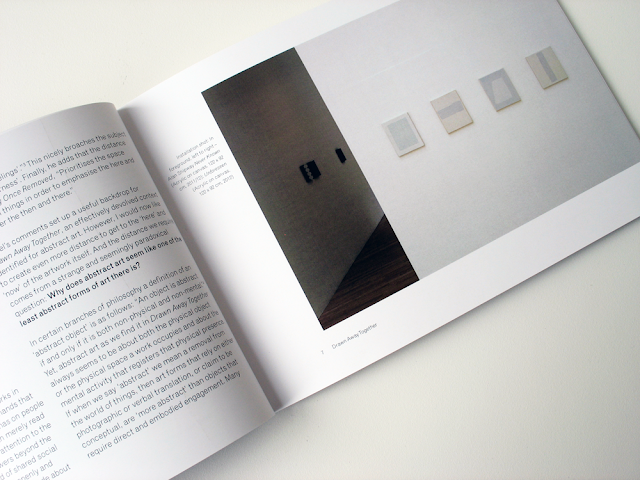 The exhibition continues until 4 May.